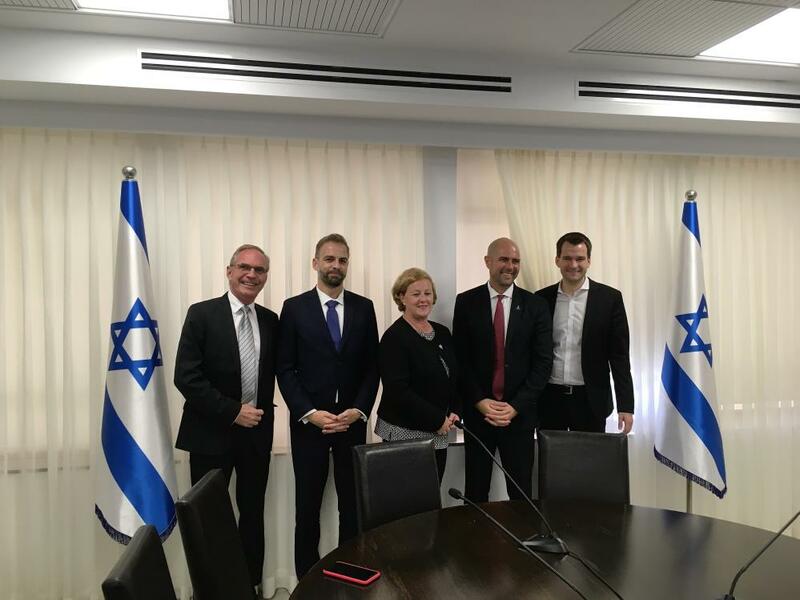 In October 2018, ELNET Germany brought together a diverse group of German MPs for a party-overarching delegation to Israel. Three MPs and one expert from the Social Democrats (SPD), the Liberals (FDP) and the Left joined ELNET for the trip. Two of them joined the German Bundestag only in 2017 and also the German-Israel friendship group of the Bundestag. The group went on a tailor-made five-day field trip in order to meet various representatives from the Israeli ministries, the Knesset and the private sector. The leaders had various political meetings to better understand Israeli internal political challenges and Israel’s foreign policy approach within the region. 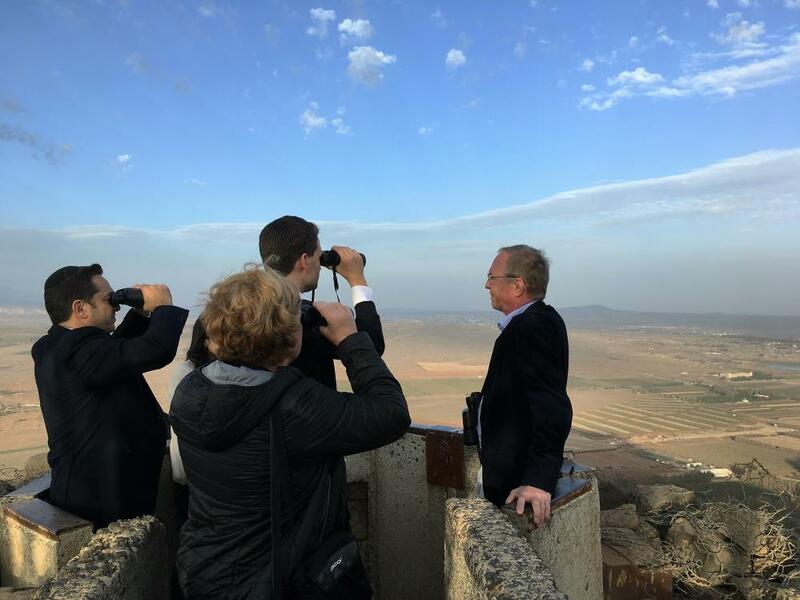 The delegation also visited Israel’s borders with Syria and Lebanon to gain insight into the various security challenges Israel is facing. Especially this part of the trip was very intense but also very beneficial as one of the participants concluded. During the political meetings, including MK Amir Ohana (Likud) from the governing coalition, Amb. Alon Ushpiz, Political Director, Ministry of Foreign Affairs of Israel expert Emmanuel Navon, Mayor of Acco, Shimon Lankri, the group discussed the current political situation in Israel, the Nation State Bill and the conflict with the Palestinians. The group visited also the Palestinian Terrotories. When visiting Ramallah, the parliamentarians had the chance to get a glimpse of life in the West Bank. With an expert they talked about the challenges and political boundaries in the Palestinian Territories. This meeting was followed by a political talk with Amb. Dr. Amal A. Jadou, Assistant Minister of Foreign Affairs to Europe, Palestinian Ministry of Foreign Affairs and Expatriates. The delegates further visited the Israel border with Lebanon and Syria, accompanied by Lt. Col (res.) Sarit Zahavi, Founder and CEO, ALMA Research and Education Center. Up North, the group got a chance to experience first hand the successful co-existence of Muslims, Jews, Christians and Druze away from the religious sites of Jerusalem. The insight into the fragile security situation of the State of Israel was completed by a visit of Rambam Hospital in Haifa with its including fortified underground emergency hospital (designed to withstand a multitude of attacks). Especially these parts of the program made the information received more tangible for the MPs and distinguished itself fundamentally of the meetings and presentations in Tel Aviv and Jerusalem. The group also came into touch with the economic side of Israel as Daniela Kandel from Start-Up Nation Central gave an introduction to the Israeli Start-up world. The meeting with Maj. (res.) Arye Shalicar, Head of Foreign Relations, Ministry of Intelligence impressed the participants with his own personal story coming from Berlin, as well as his insights to the Israeli national security situation with regards to the regional arena, in particular Syria, Lebanon and Iran. The speaker highlighted the challenges Israel has to face and cope with on a daily basis, focusing on the proxies used by Iran. The discussion fascinated the group as they more and more understood Israel’s geopolitical perception and realities.